Robyn has a Master of Science in Mental Health Counseling and is a Licensed Marriage and Family Therapist and Licensed Professional Clinical Counselor. She provides a wide range of mental health services including diagnostic assessments, individual and family counseling, and mental health consultations. 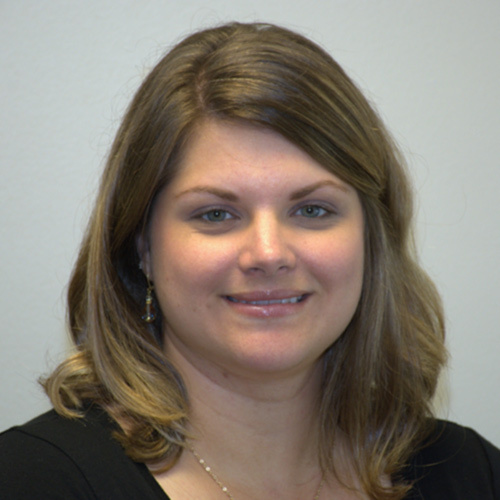 She is trained in DC0-5 diagnostic assessments for children birth to five. She has experience working with infants, toddlers, and preschool age children and their caregivers through high stress experiences, trauma, depression and anxiety, and social and emotional difficulties. She emphasizes a holistic based approach, along with a developmental-based and relationship-focused framework. She has an emphasis in attachment theory, trauma-informed interventions, and restoring and strengthening the caregiver-child relationship to repair social and emotional development. She is rostered in Child Parent Psychotherapy (CPP), is a certified Attachment Bio-behavioral Catch-up (ABC) therapist and she is Internationally Certified in Parent-Child Interaction Therapy (PCIT). She is currently in training to become a CPP trainer for state of MN. Additional areas of interest include collaborating with preschools and childcare centers/in-home daycares to provide consultations and/or presentations related to infant and early childhood development and mental health. Additional to her clinical role, Robyn is the Clinical Supervisor for the Infant Early Childhood program at Counseling Services. She is a Board Approved Supervisor for the MN Board of Behavioral Health and Therapy and MN Board of Marriage and Family Therapy.